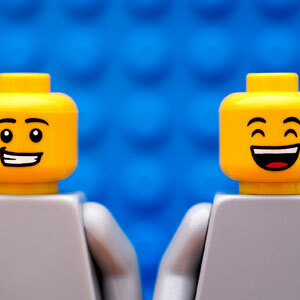 in today’s newsletter, we want to talk with you about Lego. We probably all know these small colorful pieces from our childhood but meanwhile, you can find them in many seminars and workshop rooms as well. We are talking about Lego® Serious Play® – an agile and creative method that helps you find solutions for complex problems and new ideas. Based on the motto „Think with your hands“, the participants build different Lego buildings and thereby make their ideas tangible – in an easy, surprising and creative way. At MDI, we were using the method for the first time during our team workshop and were convinced right from the beginning. You can read more about the theory behind it in this interview with MDI trainer Ursula Weixlbaumer-Norz (in German). 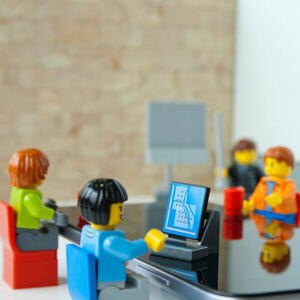 Now, we want to invite you to join us for our Lego® Serious Play® workshop on the 24th of October. Experience yourself how those little pieces can support you mastering complex challenges and finding new ideas. Ursula Weixlbaumer-Norz is an expert in the field of agile leadership and creative tools and methods. In this workshop, you can experience this innovative method yourself, build your own models and make your ideas tangible. What will MDI look like in 2025? That was the question we have asked ourselves during this year’s team workshop. Read more about our experience and the ideas and solutions we found.